Please refer to our stock # 0006cp when inquiring. 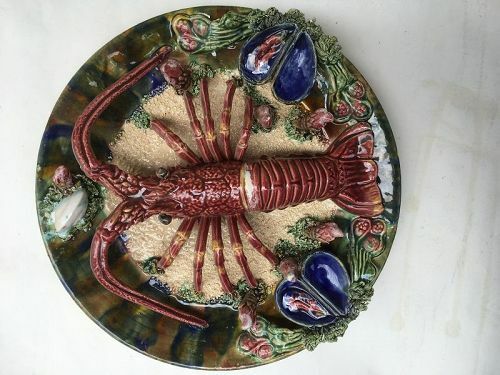 Ceramic, Portuguese Palissy plate. Lobster and clams in a oval. 1860 to 1887 13 inches diameter.